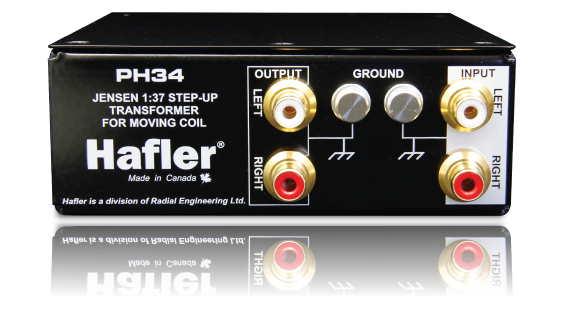 Proudly made in North America, the Hafler PH34 and PH44 SUTs are passive devices that employ ultra high performance Jensen Transformers to boost the low-level signal produced by a moving coil cartridge by as much as 31dB without any amplification or the associated noise that they produce. 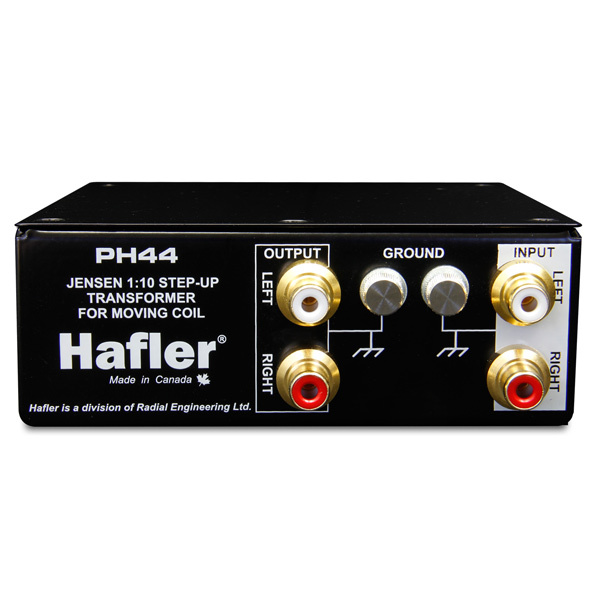 Jensen wrote the book on transformer technology and for over 40 years has gained the accolades of being the world’s most respected and revered audio transformer manufacturer. The design begins with a 14 gauge steel casing to shield the low level signals from external magnetic fields and RF contamination. Gold-plated input and output RCA connector pairs are employed that will not tarnish over time, thus optimizing signal flow. Inside, each Jensen transformer is double shielded with heat treated (annealed) nickel composite cans and supplemented with internal Faraday shielding to deliver over 120dB of hum rejection at 60Hz. And with less than 0.05% distortion, virtually zero phase shift and a frequency response that spans 10Hz to over 100kHz, you can rest assured that the signal transfer is pure and uncoloured. 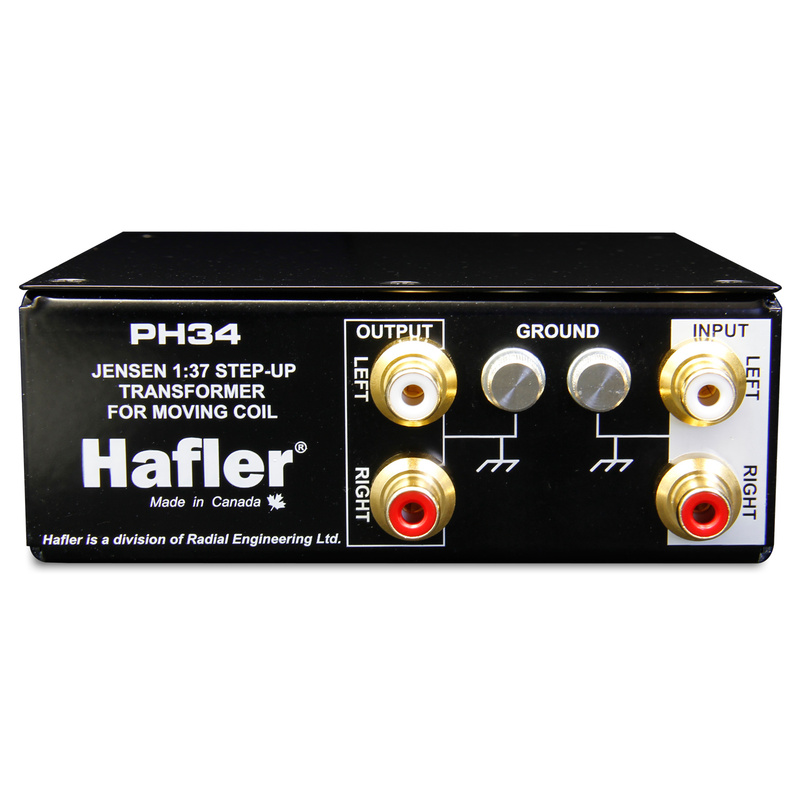 Designed to optimize the performance of any given stylus, the PH34 employs a Jensen JT-34K-DX transformer with a 1:37 turns-ratio that adds 31dB of gain for Ortofon type cartridges (5 Ohms typical) while the PH44 employs a Jensen JT-44K-DX transformer with a 1:10 turns-ratio that adds 20dB of gain for Denon type cartridges (45 Ohms typical). Since the Hafler PH34 and PH44 are designed for the purist, there are no controls. 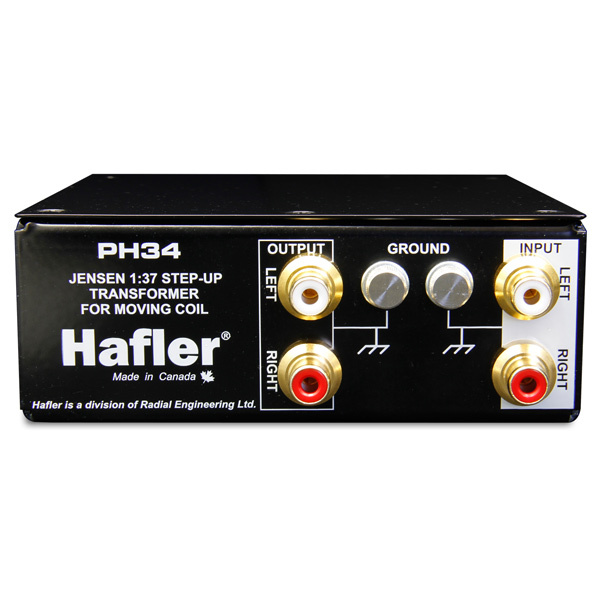 One merely connects the turntable to the SUT and sends the output signal to a standard phono input on the receiver or preamp. The Halfer SUTs quietly do the work without adding noise, distortion or artifact. The world’s finest Jensen transformers deliver ultra-low deviation from linear phase for proper time alignment of the fundamentals and their harmonics. 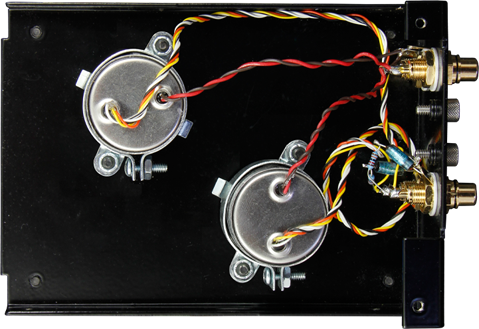 Each transformer is fitted with double shields to block out magnetic interference from a turntable motor or nearby electromagnetic fields. To protect the minute signal from hum and RF interference, each Jensen transformer is equipped with an internal electrostatic shield. In effort to minimize signal loss from low output moving coil cartridges, extra heavy wires are employed at the input to minimize resistance. 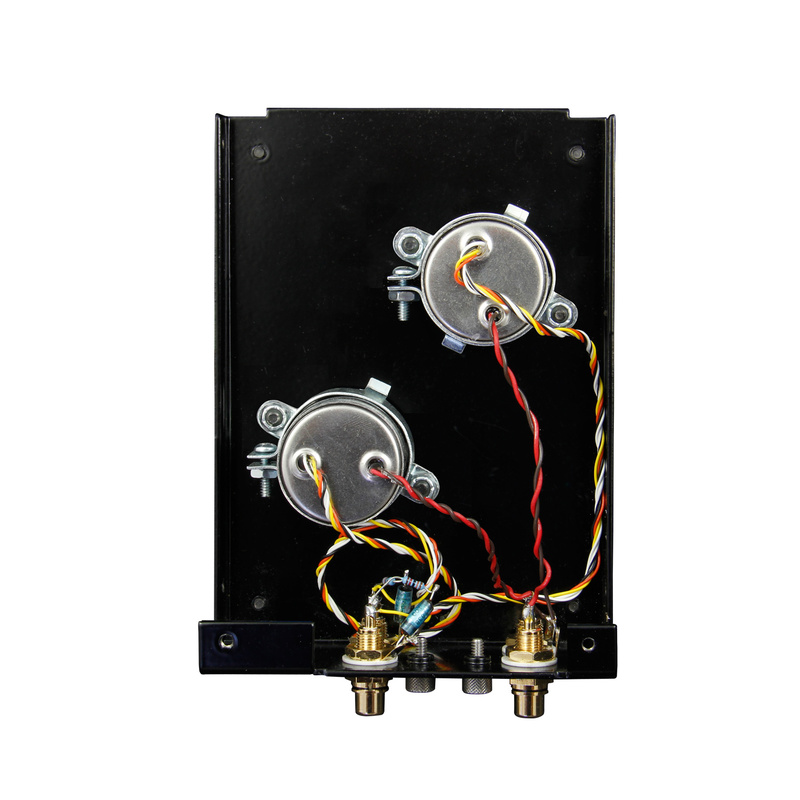 Both input and output wire leads are hand wired with shortest possible wire leads and then tightly twisted to eliminate invasive radiated noise. 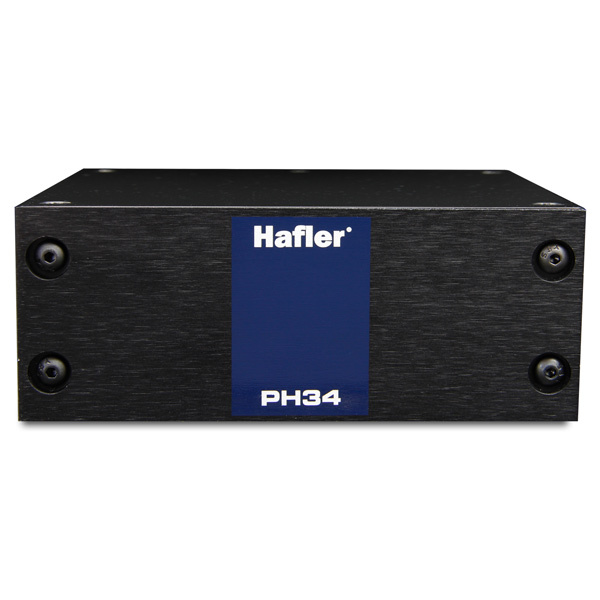 Can I connect the output from the PH34 or PH44 to the AUX or line input on my receiver? No. It must connect to an RIAA phono stage preamp input in order to bring the gain up to a manageable level and introduce the RIAA equalization curve. Why are transformer-based SUTs considered better than their active counterparts? 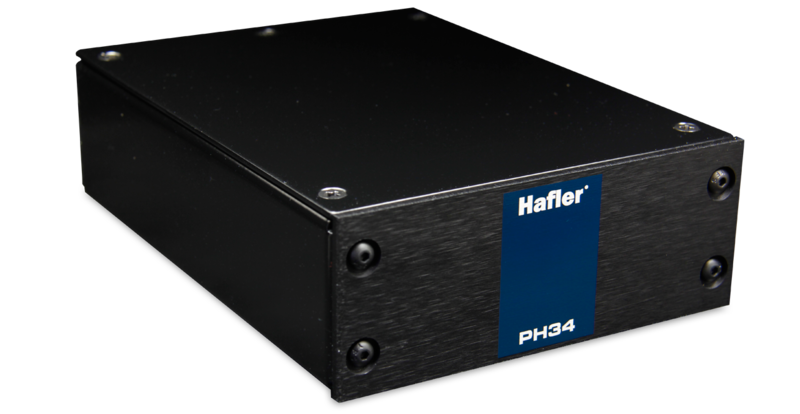 Unlike active phono stages that employ amplifiers to boost the signal and inadvertently introduce background noise, passive SUTs do not use an amplifier. Instead, they use specially designed transformers that are able to boost the minute signal without adding noise. Is the output cable length a concern? Yes - the shorter the cable the better. High impedance coaxial cables – such as those used with RCA connectors, perform best when kept below 1 meter (39”) in length. 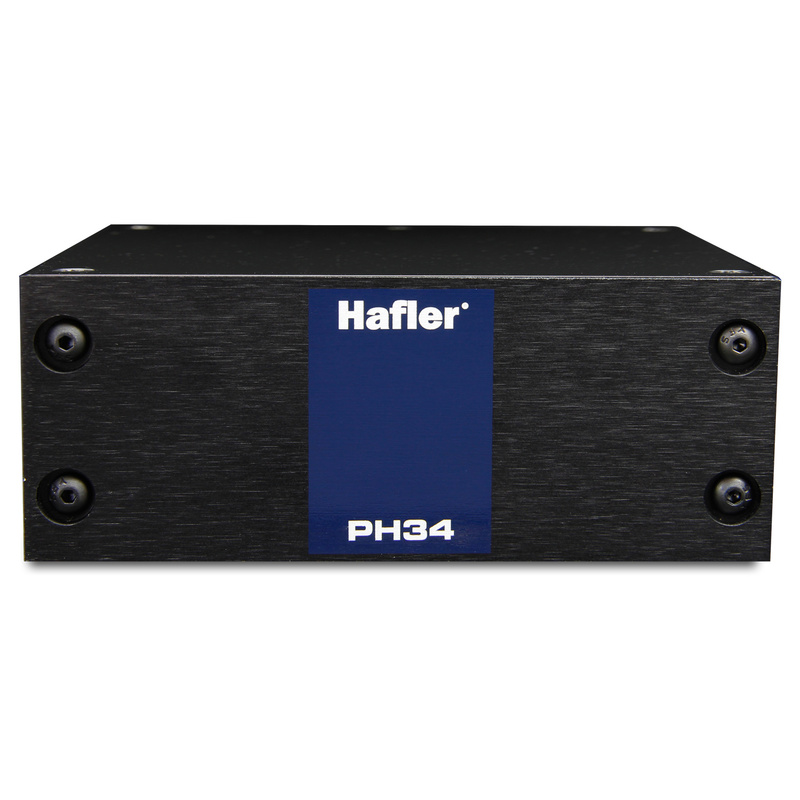 Can I use the PH34 to boost another type of signal such as a microphone? 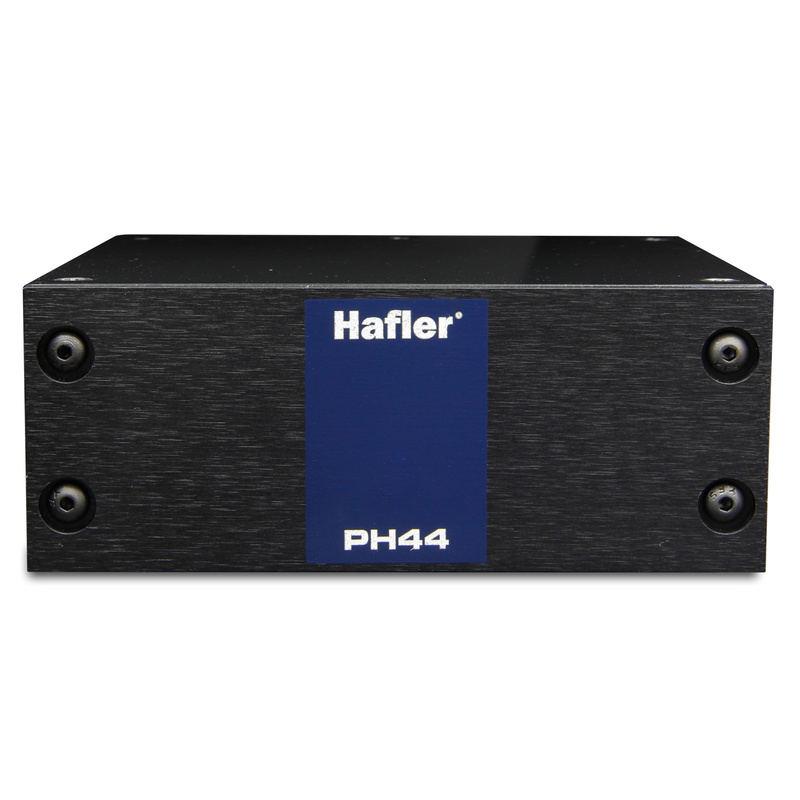 Although the PH44 and PH34 will boost any signal, the input is so sensitive that it will likely distort unless the audio source device’s output is very low. Can I use the PH34 and PH44 with older 78 records that have not been equalized with an RIAA curve? What makes a Jensen Transformer so highly regarded? Each Jensen transformer is meticulously made by hand, with the help of ultra-high precision Swiss-made winders to ensure the windings follow precise scattering patterns. Additionally, the core materials are carefully chosen and batch tested, then hand stacked in a proprietary fashion to ensure the magnetic transfer is done without distortion, color or artifact. This extraordinary attention to detail results in unmatched audio performance and an exceptionally consistent performance that is simply unrivaled anywhere at any price. What happens if I use a 10 Ohm cartridge in a 5 Ohms SUT? 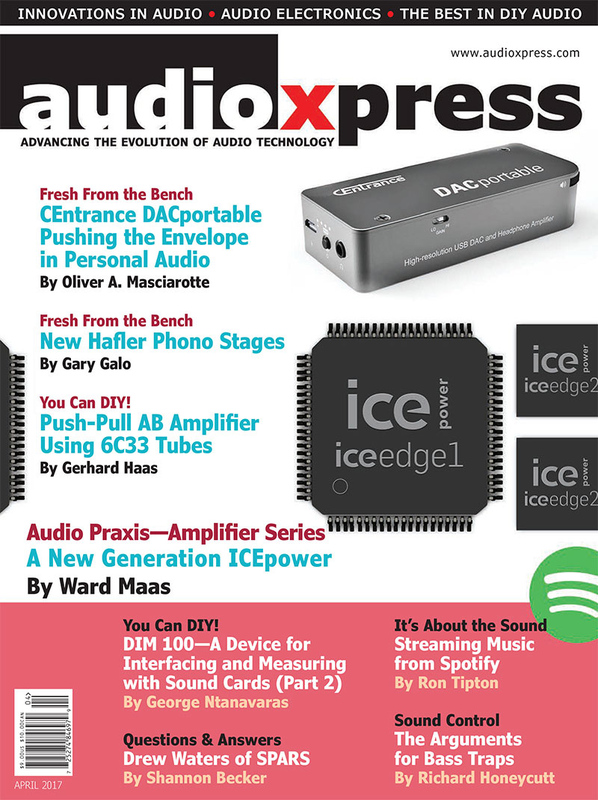 Closely matching the impedance optimizes the frequency response. Most moving coil cartridges fall under the low (3 Ohms to 10 Ohms range) and high (15 Ohms to 50 Ohms) range. Tests have demonstrated that being fairly close to the impedance works just fine. 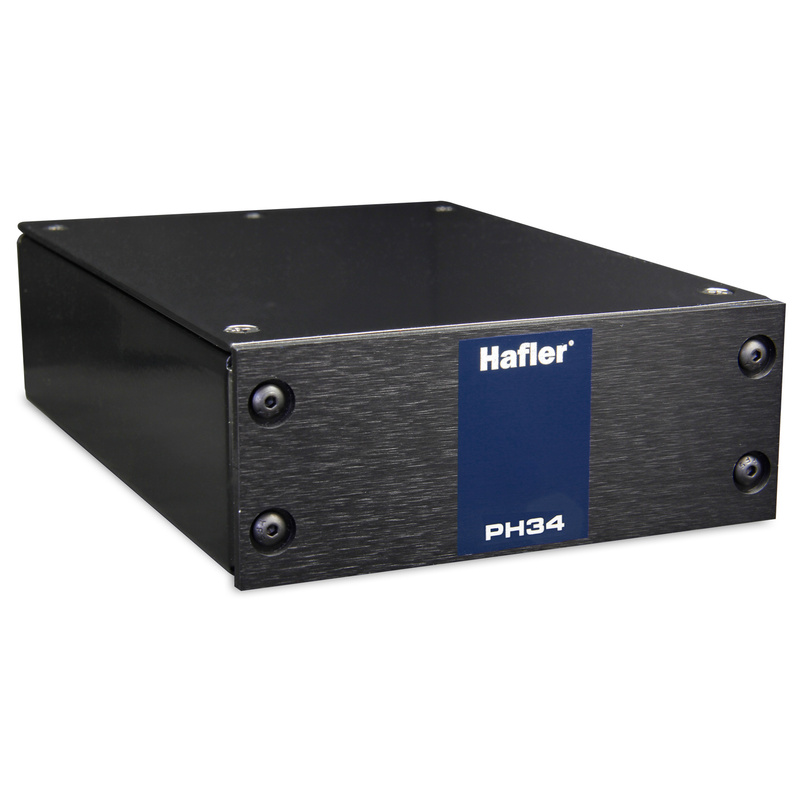 The PH44 is a winner. It's refined enough to be used with the finest moving magnet phono preamps, and I recommend them to any moving coil user who prefers a step-up transformer to an active front-end."